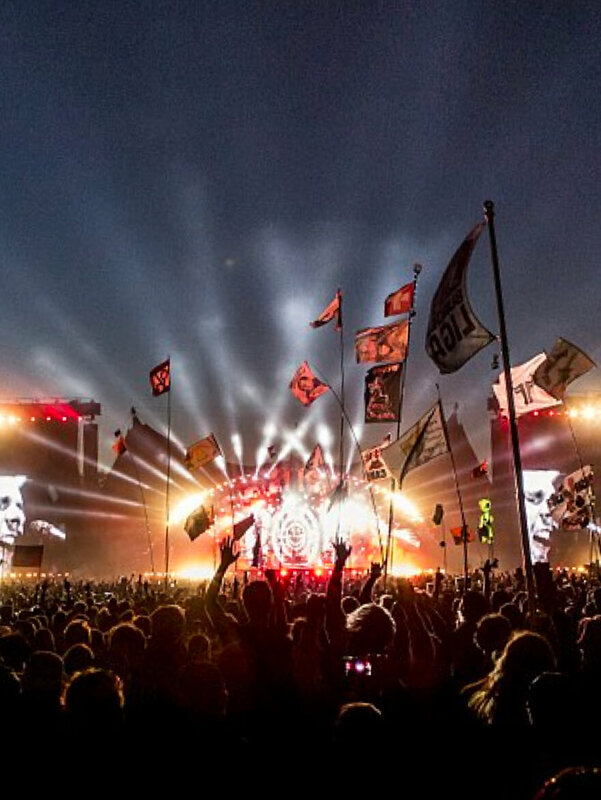 Roskilde Festival is the largest music festival in Scandinavia and one of the most popular music festivals in the world. Attended by some 130,000 plus, it presents a unique opportunity for brands to be seen and heard. But how can they break through the noise and capture the attention of the audience? We worked with 3 mobile to try and solve this puzzle. Our task was to raise as much awareness to the 3 Mobile sponsorship of Roskilde Festival and compete with higher tier sponsors like Tuborg to cut through the crowd. 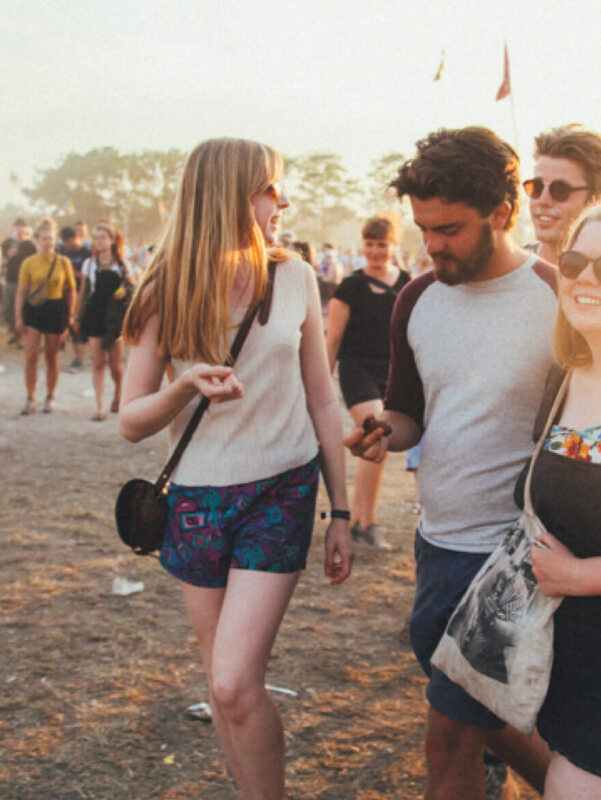 With over 130.000 party goers at Roskilde, getting lost and separated from your friends is very easy. This could mean missing out on great music, and great times. We felt that 3 could use their technological ability to help festival-goers solve this problem and at the same time position themselves as an innovative mobile company. We wanted to be more than a logo on a poster, we wanted to deliver real value to festival goers. 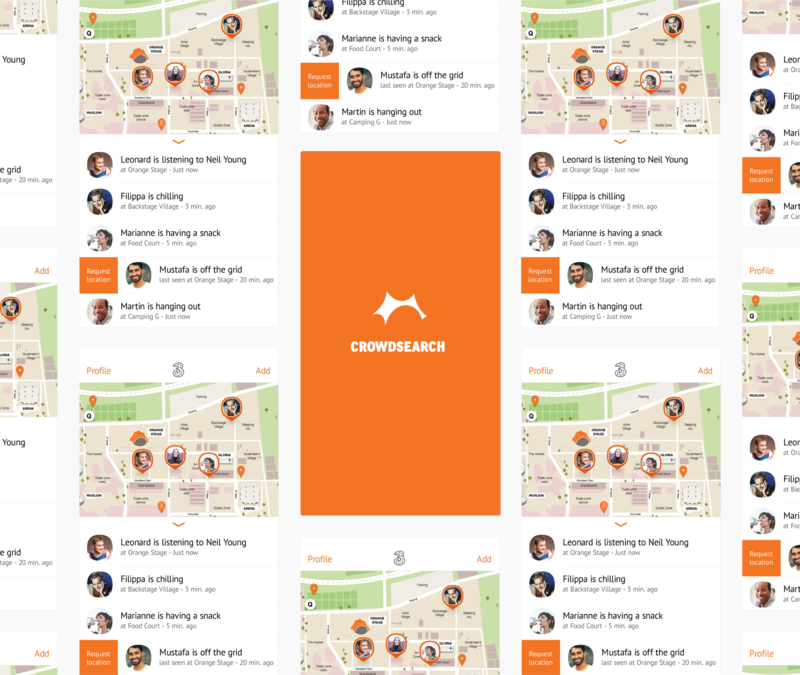 We therefore developed Crowdsearch, an friend-finding app which enabled users to find each other in the crowd. Synced with the festival map and plugged into the official music program it allowed festival goers to see what concerts their friends were attending and just where to find them. The app was a resounding success with over 33.000 downloads, that is 25 % of the festival guests, with the average user spending more than 30 min. on the app during the festival. 8000 of the app users allowed 3 to contact them following. The app was the number 1 downloaded app on the Apple store during the festival and generated over 5 million total impressions across digital channels.